Technically, my car first became road legal on 31st August 2016, but it was still in primer at this stage. This certainly didn't stop me enjoying over 8 months of driving the car around and racking up 1,000+ shakedown miles before paint. Traditionally, painting the car is part of the build, so I didn't want to start an 'On The Road' thread until the car was painted. On the 18th November 2017, the car passed its second MOT (the first MOT expired during the painting process). I've decided to leave the paint finish as it is for now, but I may try to polish it properly at some point in the future. It was pretty cold on my driveway this morning as I was experimenting with layout options for my 'sponsor' stickers. The good news is that I quickly realised that 'less was more' and only used the TAG & Shell ones. Unfortunately, putting on the racing numbers turned into a complete nightmare of a job. My first attempts on the passenger side just would not lay flat along the bottom edge. Thankfully, I ordered four roundels, but no longer plan to fit any front & back, so I had a spare. At least you will now be able to judge for yourself if you think the car looks better with, or without, the numbers. I then went for my first proper drive and ended up in the local industrial estate to take some photos. I would need to order some new numbers and I think they would need to be slightly smaller to cope with the curved cockpit sides. I then took the car for a quick a blast along the A40/M40 to help clean out the engine/exhaust pipes a bit more. The clear blue skies looked a lot warmer than they actually were at 70mph and the exposed parts of my face got very cold. Looks fantastic with or without the roundels. With roundels......and paint it blue whilst your at it. I always knew that using Barry Sheene's old number might be a bit marmite. But it is something that reminds me of my mis-spent youth on two wheels. First stop was to the sign shop that did my racing numbers before. Not easy to see in the photos, but the original ones had a black layer on top of the yellow. Whereas, the new ones have been printed as yellow and black in one go. Reducing the diameter by about an inch and a half should make them easier to fit. Note: The new ones are 'toned down' a bit and actually match the yellow and black road signs they were working on when I arrived. Unfortunately, the guy had to dash, so I will have to apply them myself one of these days. Next stop was the petrol station, before I finally ended up in Sainsburys. But I took another photo from the passenger side when I got home. I know it is a matter of personal choice, but I do prefer the side with the number on it. To be honest, I get the same positive reaction from people on either side of the car as I go along. I think Mister Towed started the tradition of photographing your car in a super market car park. Well done Paul. I do like the new roundels better! Barry Sheene would be proud! My initial thought was don't do the roundels but now seeing both sides I prefer it with them. It's your car though so my opinion is merely that. You need something to key against the yellow nose and the numbers do just that! 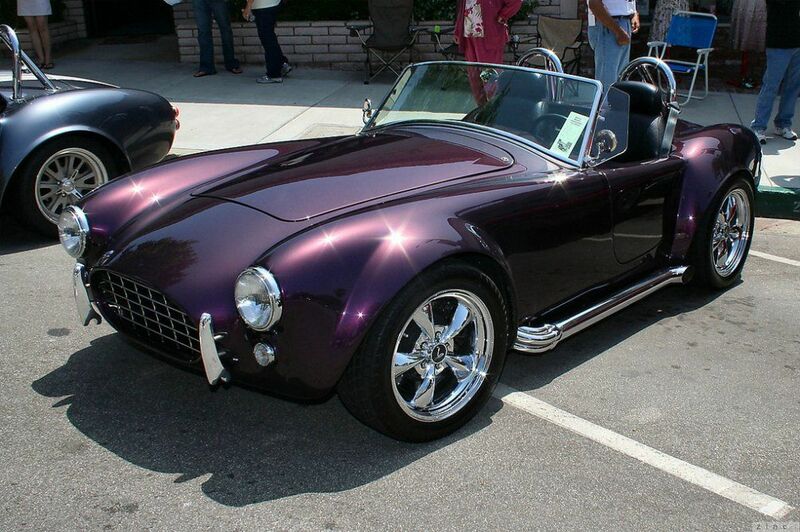 PS I expect you to say at a later date "yes Dave a metallic purple Kobra is exactly the right colour"
Dave - Well I have seen some very nice metallic purple Cobras. Mick - The good news is that it is easy to switch to traditional white roundels at a later date. Put the new driver's side roundel on and it was pretty straight forward this time around. Then peeled off the old passenger side roundel and out a new one on that side too. 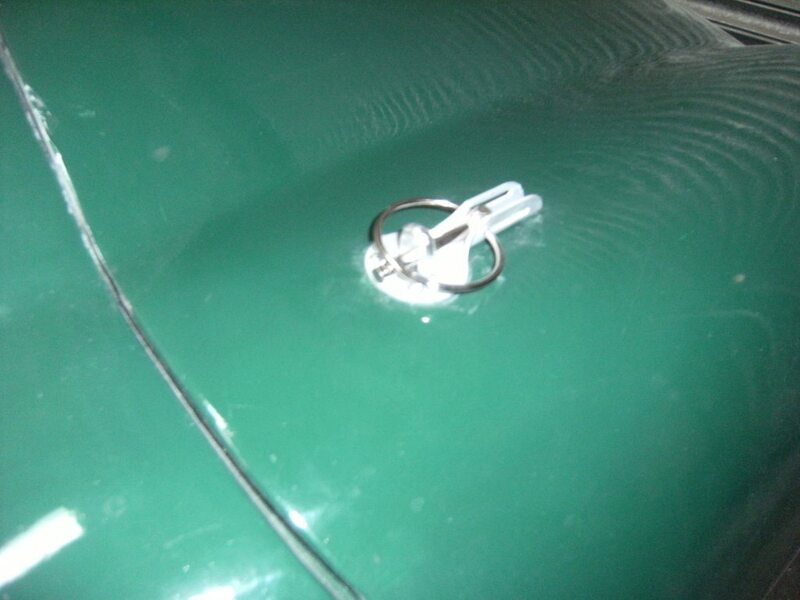 This leaves me with a 'spare' and as they are smaller, it might work on the bonnet. But that is definitely a decision for another day. Instead, I took the car out for a quick spin to take a few more photos. 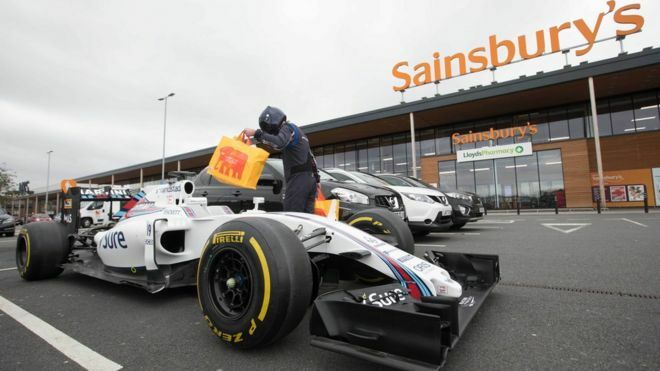 Finally, a quick stop at Sainsburys on the way home. How are you getting on with the bonnet lifting at speed?? With the bonnet straps in place my Alpha's bonnet tended to "pant" at speed but I sorted it with a pair of bonnet pins. I have really enjoyed your build thread. Your car looks amazing, and seeing all the work and tenacity that went into building it was fascinating and, frankly, inspirational. Now that you are using the Swordfish 'in anger', I would like to offer what I hope will be seen as helpful advice. As an ex-biker, you probably already drive with dipped headlights on all the time. The Swordfish is absolutely tiny by modern standards and is a dark colour. With so many cars now having daylight running lights, there is a danger of your car being visibly lost and not seen. The highest point of it is probably below the window line of many SUVs. So please consider using dipped headlights all the time. Also, make sure it has a very loud horn - I seem to remember from your build thread that it does. There was an amusing anecdote on Locostbuilders a while back about a Locost nearly being reversed into by a BMW X5 in a petrol station when the X5 driver decided to use the pump behind him and was not aware the tiny Locost was there. The X5 stopped just in time when the Locost driver sounded his loud horn. Anyway, sorry for the rambling post and I look forward to more tales of the Swordfish 'in the wild' and its continuous development. 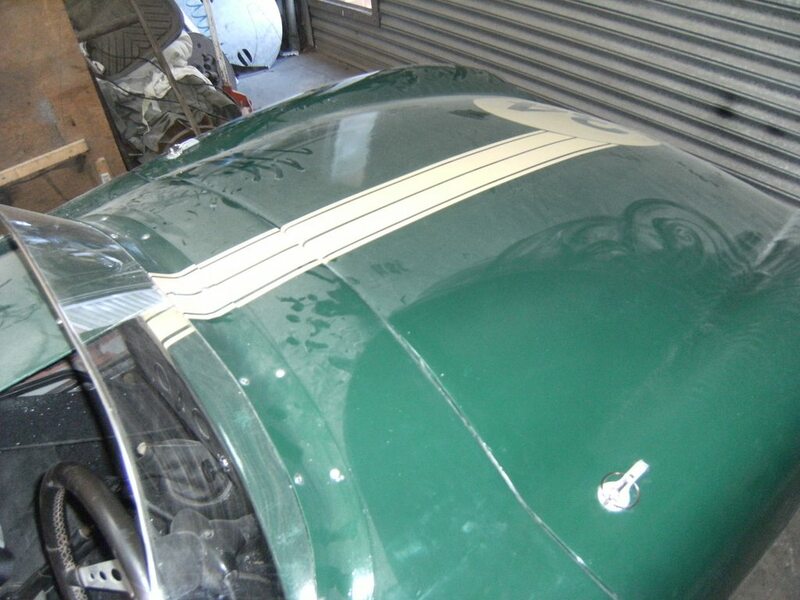 Micky1Mo – I did have a problem with the bonnet ‘flapping’ at speed when it was in primer. But I fitted two ‘cabinet’ locks during the painting process. These ‘hook’ under the bonnet lip in the bodyshell, which itself hangs over the Spitfire bulkhead. I’ve only taken the car for one quick blast at motorway speed and this seems to have fixed the problem. It may sound odd, but, unless there is poor light, I am not actually a big fan of daytime running lights. Almost 20 years of motorcycle riding taught me to assume that I wasn’t seen and drive accordingly. I certainly take account of how small/exposed the car is when I am driving around. Rapid recovery Paul, too much fun to be had! Although I did put my hat and gloves on to start the engine this afternoon. I now need to start getting my act together for Christmas, which is about to sneak up on me if I don't watch out. nice job paul , you got there in the end after all your hard work :eusa_dance:,it looks to have just the right finish/patina to me for the style/era of car, now time to enjoy when it warms up a bit !!! regards, mick . Whilst the final 'aged' paint finish owes more to luck, rather than judgement, I'll take it for now. In the end, I had to go to my GP for some antibotics, as my cought just would not go away. So, with a slim chance of some snow arriving soon, I figured it was now, or never, for a quick blast. Unfortunately, whilst the forecast said it was around 3 degree, they did mention the wind chill. In fact, it was often colder sitting at traffic lights that it was driving along, although that was pretty fresh! Don't let the sunshine fool you, it was not a Summer's day. In other news, I have been trying to cut down on the noise my bag of tools in the boot was making. And a slightly smaller bag which I can cram everything tightly into. Then I bungied it into place in the boot with what is left of the yoga mat. That takes care of any side to side movement and I just need to sort out a way of preventing it jumping up & down. I was so cold when I got home, I forgot to take a photo of the area causing a 'buzz' in the cockpit, so I'll cover that next time. A big thank you to Micky1mo who send me a pair of old Lucas reflectors. I have to use my LED reflectors to double up as my fog lights. Unfortunately, the covers were back on the car before the post arrived, so I will check them another day.